CES 2015 highlights - Day 1 news, launches, products | What Hi-Fi? 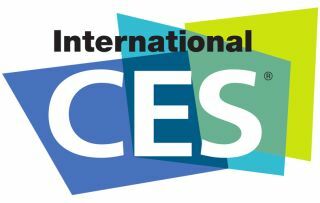 The main focal point of the opening day of CES 2015 was CES Unveiled – a precursor to the major press conferences taking place today [5th January] and the first glimpse at some of the early product innovations. Bluetooth accessories specialist SuperTooth has joined the multi-room market with its own system that streams stereo audio to up to five speakers, while the "floating" Air2 Bluetooth speaker made a notable first appearance. Cambridge Audio has announced a new CX series of hi-fi and home cinema separates and the flagship 851N network music player. AKG announced new additions to its excellent Y-Series headphone range and a collaboration with Quincy Jones. Freeview Connect, launched last year, aims to deliver live and on-demand content from the key UK channels over the internet, as well as providing access to apps including BBC iPlayer and Netflix. It seems Seiki will be the first manufacturer to come to market with Freeview Connect-enabled TVs - the company's range of models, between 32in and 50in, is due to go on sale in Q3 2015. Parrot unveils "world's smartest sports headphones"
We're expecting to hear a few manufacturers announcing the launch of their "world's first" products at CES 2015. Parrot is staking a claim to be one of the first with the Philippe Starck-designed Zik Sport headphones. The French company claims the sporty version of its technology-packed Zik headphones are "full of sensors" and come with a fitness-analysing app for smartphones and tablets that will help with your workout. CES 2015: Parrot Zik Sport are "world's smartest sports headphones"
Marshall Headphones has taken the wraps off its second-generation Major headphones, which come with upgrades to build, design and sound quality compared with their predecessors. The design harks back to the iconic Marshall amps and we're expecting to see a worldwide launch of the Major IIs later this month. Features include customised drivers that, Marshall claims, will deliver deeper bass. The Major IIs are expected to cost £100 in the UK.